One of my favourite things about Inferno Festival is the associated conference which sees movie screenings, guitar/drum clinics and various discussions on different aspects of the music industry. On day two I was off to the hotel cinema, beer in hand to watch RocKabul. 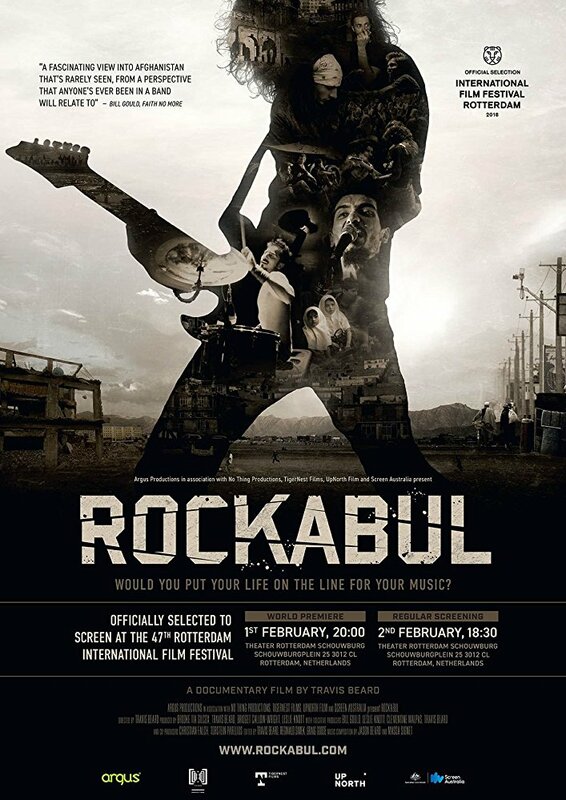 RocKabul is a documentary about Afghanistan’s first metal band, District Unknown, during the height of the war. After living in Afghanistan for seven years, Australian filmmaker Travis Beard began recording his friends to chronicle a part of Afghan life that is rarely shown in Western media. I found the documentary extremely moving, as there were elements of band life that were so familiar such as them having their promo photos taken and yet life in Kabul for these young men is so different to anything we experience. In fact all day I thought about how lucky we all were to be able to enjoy heavy metal without a threat to our lives and the lives of our families. 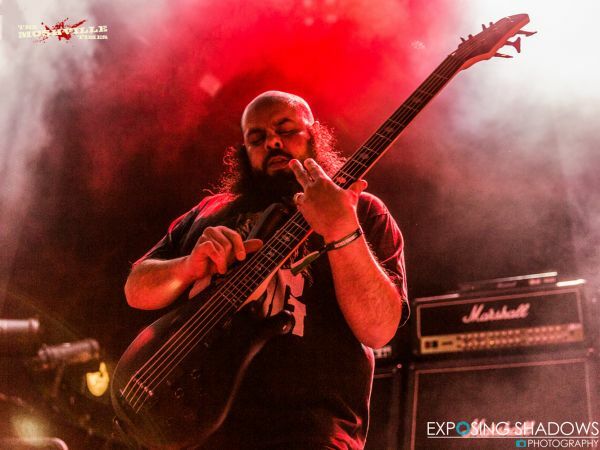 Travis Beard not only documented the band’s progress and achievements but had also acted as a mentor and friend, assisting them wherever possible to reach their goals. I wholeheartedly recommend everyone check out Rockabul, a great documentary that puts things in perspective. Check out the trailer. It was then time for a quick bite to eat in the hotel bar and back to Rockefeller for another evening of metal. The ritualistic, cloaked style of stage show is certainly popular with bands at the minute but Mephorash carried it off with a refined, mature style which was mirrored in their songs. I found the moments where all three vocalists were singing to be particularly good and will be checking out their last album 1557 – Rites of Nullification. Iceland and atmospheric black metal are becoming synonymous with one another over the past few years and Auðn are definitely one of the key players in this scene. They combine the slower sober sections with the extreme black metal very well. “Skuggar” was a perfect example of this. Origin‘s vocalist Jason Keyser stated on more than one occasion about how excited he was to be opening for Emperor having been a fan since his teenage years. This excitement seemed to transfer itself to an exuberant energy on stage and then onto the crowd in Rockefeller. I am not a fan of technical death metal tonight however, it was impossible to deny the talent of the entire band, particularly bassist Mike Flores who I could have watched all night. “Wrath of Vishnu” and “Truthslayer” saw a good deal of pit activity downstairs and everyone seemed to be very impressed. Legendary Norwegian black metal band Emperor had announced their intentions to play Anthems To The Welkin At Dusk in its entirety at this years festival. Judging from the crowd gathered they were the main draw at this year’s event. As opening track of Anthems… “Alsvartr (The Oath)” started, the band took their positions and the roar from the crowd was deafening. Emperor do not play live very often, but when they do it tends to be be something to remember and tonight was no exception to this. The musicianship demonstrated by the band during such complex songs that appear on Anthems.. was sublime from start to finish. Following chants of “Emperor, Emperor…” from the crowd, they resumed with “I am the Black Wizards” and “Inno A Satana” to the absolute joy of everyone present. An amazing performance from an iconic band. Whilst Origin were ecstatic about opening for Emperor, I felt a little sorry for Fleshgod Apocalypse having to follow them. Front man Francesco Paoli even acknowledged this himself. 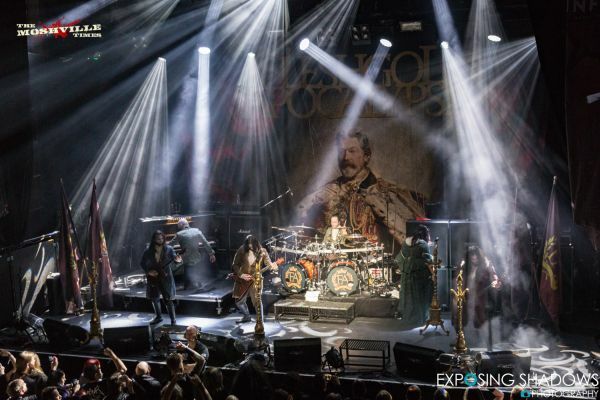 However a theatrical regal stage set up, in keeping with their latest album King, and an impressive performance from soprano Veronica Bordacchini allowed Fleshgod Apocalypse to hold their own. Highlight for me was “The Fool’. Whilst writing this review I was upset to hear that the band had to cancel the remaining dates of their European Tour after being robbed in Sweden. I sincerely hope the band can find their gear and the perpetrator(s) are caught. Help them out by picking up some merch.